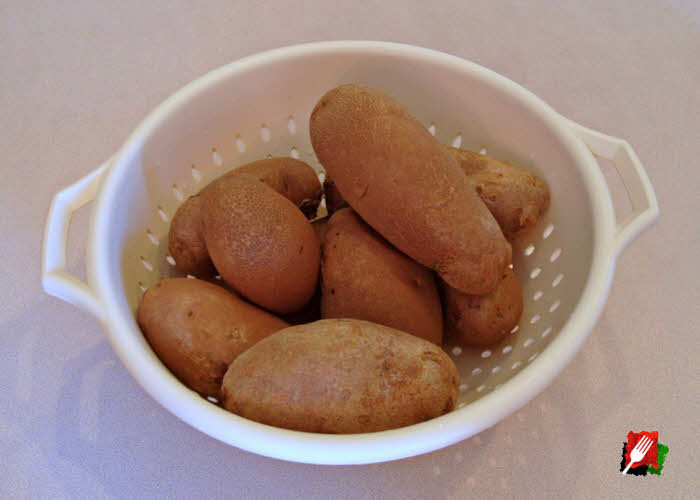 Parboiled potatoes cook much faster, aren’t wet and won’t discolor after shredding! 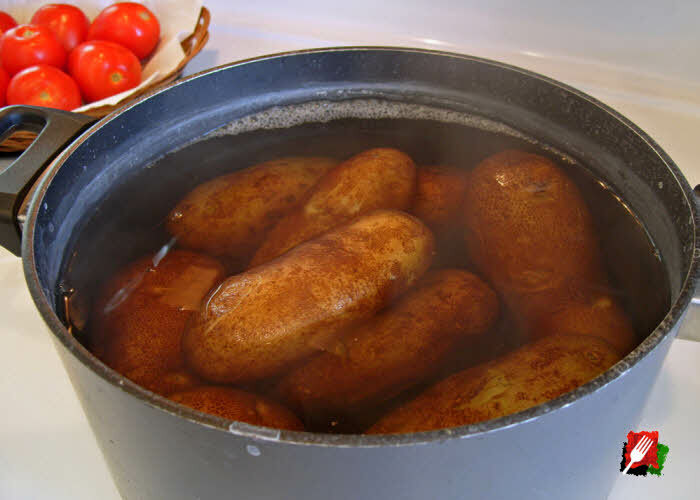 Parboiled potatoes cook much faster, retain the flavorful moist starches but aren’t wet, plus they won’t discolor after shredding for hash browns or potato pancakes. 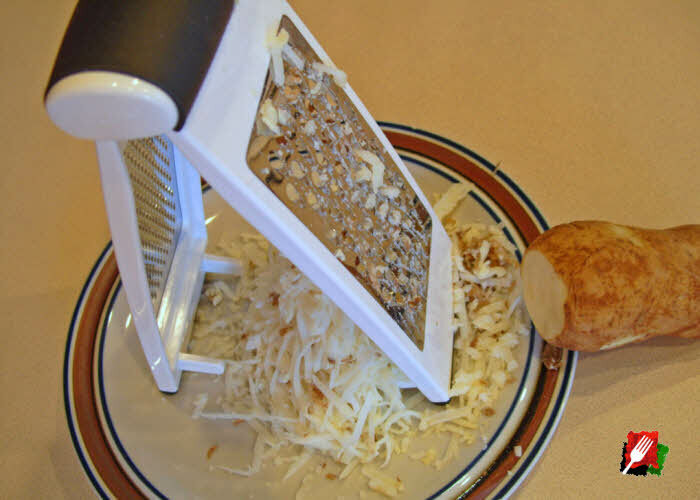 Using the large holes of a box grater, shred 3 or 4 parboiled potatoes (about a pound an a half). 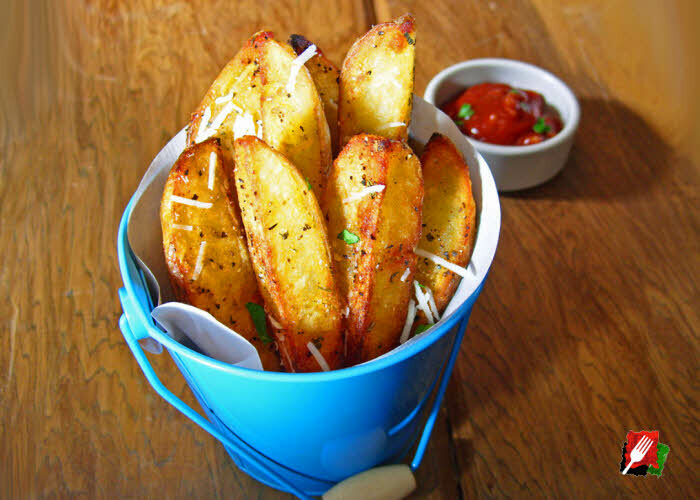 In a large mixing bowl, combine the shredded potatoes with the finely chopped onion, beaten egg, flour, salt, and pepper, then set aside. Put bacon grease or 50/50 butter and olive oil in a large skillet over medium-high heat. 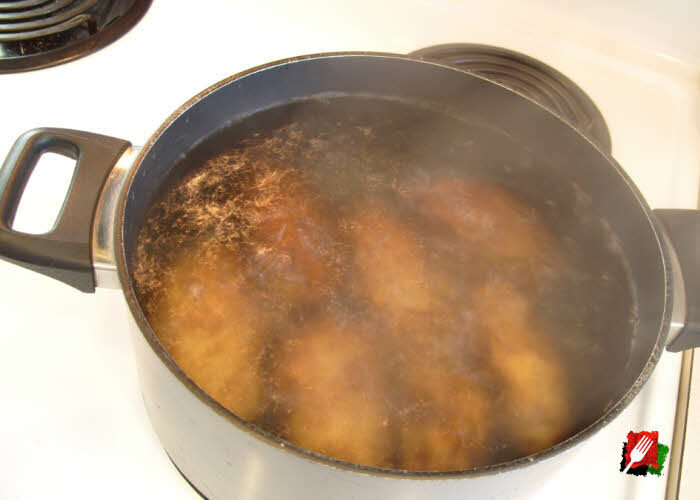 When the oil is hot, swirl it around the bottom of the pan, then add about 3 tablespoons of the shredded potato mixture per pancake to the pan, gently flatten slightly with a fork until about 1/2″ thick. Depending on the size of the skillet, fry 3 or 4 pancakes at a time (do not crowd the pan) until crispy and golden brown on the outside and still tender on the inside, about 3 minutes. Then turn over with a spatula and cook the other side another 3 minutes. 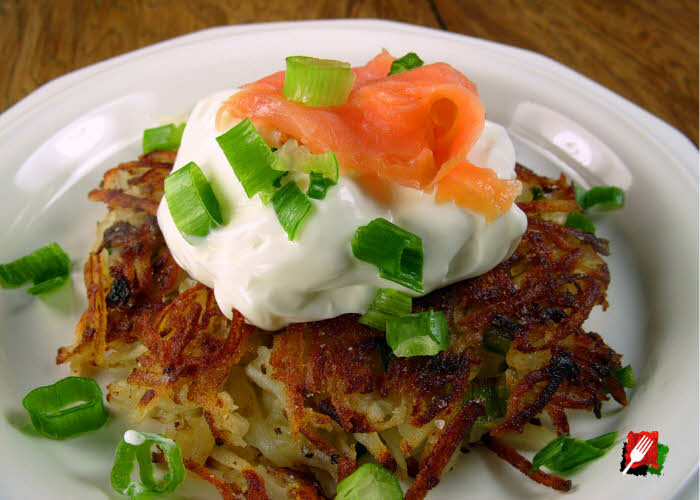 Place cooked potato pancakes on paper towels to drain briefly. 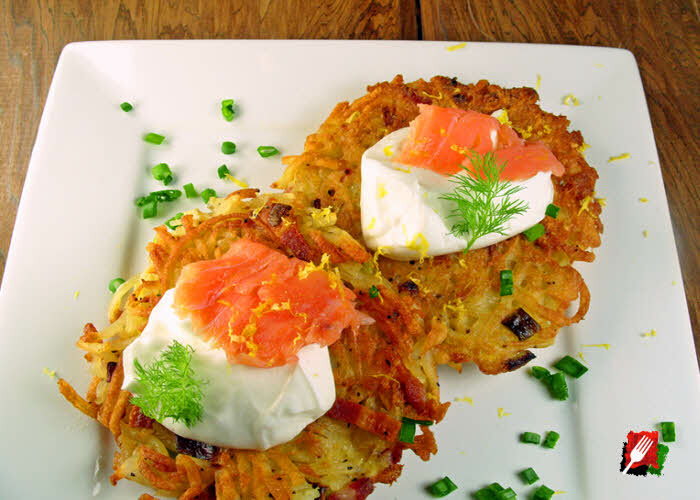 If you’re making them for several people, keep the finished potato pancakes in a warm 225° oven while you cook the rest, then serve them all while hot. 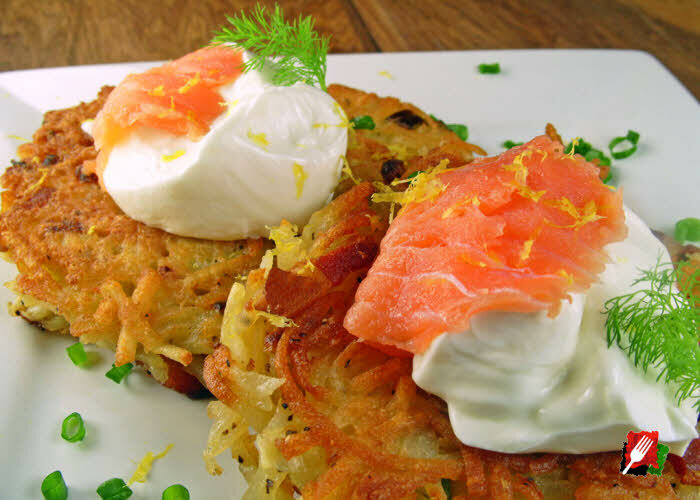 Plate with applesauce and optionally top with sour cream, smoked salmon, chopped scallions and/or dill.